Again, I'm keeping this little review short and sweet. 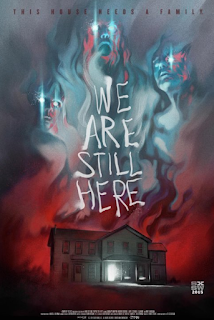 WE ARE STILL HERE is a tight and tidy little film. 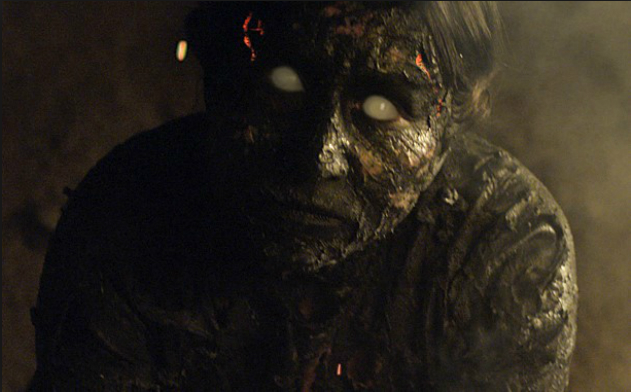 People have been referencing Lucio Fulci lot when it comes to this film. I can see that - THE BEYOND or maybe HOUSE BY THE CEMETARY. Sure. But I see it being more along the lines of Gary Sherman's work - DEAD AND BURIED in particular. Also, the pace is very Ti West - slow and deliberate. It has this dreamy, otherworldly quality to it that I love. The plot is simple - the time is the late 70s and a couple moves into a home after the death of their son. There seems to be some haunting going on. 'Nuff said for this. There are some genre favorites in the film as well. Barbara Crampton, Andrew Sensenig, Monte Markham, Larry Fessenden and Lisa Marie and turn in fab performances and really sell the whole of the storyline. And at the helm, Ted Geoghegan proves that he really knows his stuff when it comes to delivering scares. This is only his second Director credit, but I can not wait to see what else he comes out with based on how WE ARE STILL HERE turned out. Like the aforementioned Ti West, he's not scared to take time to sell the story and environment. There are scenes of stillness and quiet that craft and eerie landscape where creepy things can happen. Stark and cold, you can feel the tension at all times. And when something does happen, it packs a punch. Check out WE ARE STILL HERE - lights off and ready for some great, creepy story!